Tablets are nothing but pocket computers that have made our lives easier with its many applications. If you are looking for a company that specializes in tablet app development, then Evince should be first choice as here at Evince, we develop high quality result-driven apps that take your business to a new level. We develop phone apps for tablets those offers your customers all the latest features and our apps are such that you are sure to enjoy maximum returns on the investments you make in developing these apps. Tablet apps are used by millions and millions of people all across the world and the number is increasing day by day. iPad tablets are expensive and hence, most people these days used android based tablets and we at Evince, offer customized apps for android tablets as well. 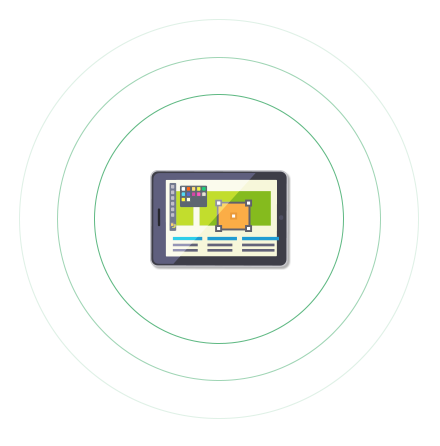 Tablet Application development is an app development for comprehensive tablet creation services. Tablet App development the ability to mobile app developers with intuitive designs, patterns, user interfaces with interactive experiences. A high level of customization is possible with unique technical sills and designs to suit business needs. The applications can be built from scratch or can be enhanced as per the requirements. If you are looking for high performance apps, then Evince is one name that you surely can trust not only in case of tablet apps but also mobile and iOS apps and ecommerce solutions. We have been in this field for many years and superior quality customer support services are what make us the best. We stay by your side and make sure that your need are fulfilled. Our professional developers are best in the field and they make use of their vast knowledge and expertise in developing highly useful apps.